But ja, let’s focus people. Focus! I want to tell you about the brand’s new limited edition Countour Clubbing waterproof liners. They’re so crazily creamy, you barely have to touch them to your skin to get a nice, rich colour pay off (they’re ‘enriched with vinyl’, apparently) and once they’re on they really do stay put. I was given these guys to play with – clicking on the piccie will enlarge it. The swatches on my arm from left to right are Dynamint, Ultra Black Glitter, Pink About You and Blue It Together. Of all of them, I most like Blue It Together. I like to use it to line the top of my eyes and have been teaming it with my beloved MAC eye shadow in ‘Tempting’. The teensy dash of blue makes my blue eyes pop and yep, the colour doesn’t budge, regardless of whether I use a primer or not. 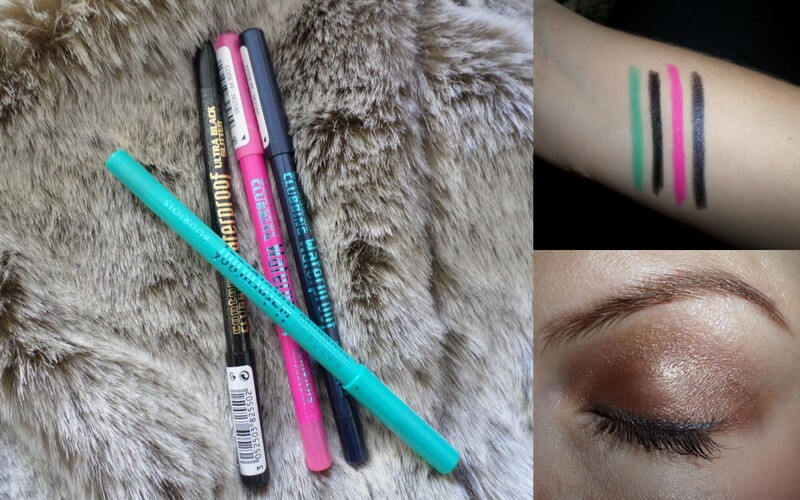 These babies will be in Clicks in about a week from now so next time you’re in store give them, along with Bourjois other awesome eyeliners, a look. The brand also has their own South African Facebook page and they’re always running cool competitions.